Financial freedom is closer than you think. At TrustTree Financial, we go beyond traditional financial planning and investment management to help you achieve your real goals. Take a minute and get to know us. More risk management. More personalization. More contact. Find out the ways that TrustTree Financial helps you achieve your true life goals. More financial firms than ever are outsourcing your investments, so you never meet the person who’s managing your money. While that’s efficient for the firm, it’s not usually best for you. At TrustTree, we manage your investments in-house according to your preferences and risk profile. Then we keep you fully informed every step of the way. Occasional financial planning can only get you so far. Set it and forget it? Not here. At TrustTree, we provide you with comprehensive financial planning plus the ongoing support that helps you achieve your goals. So you can actually end up where you want to be. Most people want financial independence, but very few actually achieve it. You’re busy, so you need someone to help you plan, keep your eye on the big picture and execute along the way. With TrustTree’s total package, we’ll help you map out the road ahead with a plan, then help you stay on track….so you have the best chance of reaching your goals. At times, investing seems easy: pick an index fund or model portfolio, and it usually just goes up. If you think back to 2008 or the dot com years, you’ll recall that wasn’t always the case. At TrustTree Financial, we’ve been through many market cycles. We understand you’d likely rather make consistent progress than risk being set back too much. So we focus on smart risk management and personalizing your investments to your needs and preferences. We do it all in-house so you can participate as much as you’d like, and we’ll always keep you fully informed. Wall Street is notorious for conflicts of interest. At TrustTree Financial, we are completely independent. We report to you, not to any corporate office or shareholders. As an independent registered investment advisor, we also act as your fiduciary. That means that we’re legally obligated to put your interests first. Seems commonsense, but not every financial advisor you encounter is required to do that, believe it or not. 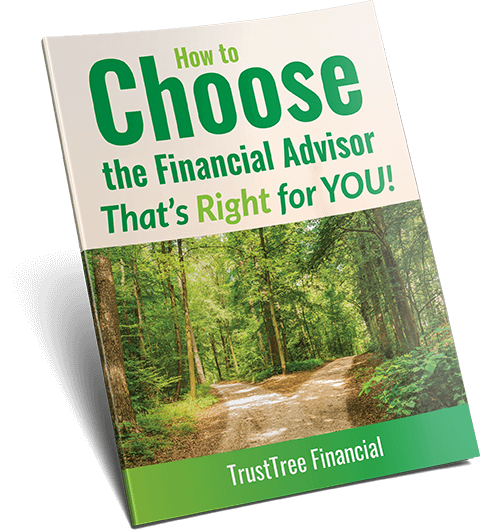 Choosing a financial advisor is a critical decision.